I had a terrible end to the weekend. After watching the cricket from Brisbane until it was obvious England were safe and well in front, I went to bed only to be woken about an hour later by a dripping noise. I hate dripping noises! On investigation, it turned out to be water dripping through Shaun’s ceiling. Not good, as Shaun’s room isn’t even at the top of the house. I put a couple of buckets on the floor to catch the drips, then went upstairs to see where the water was coming from. 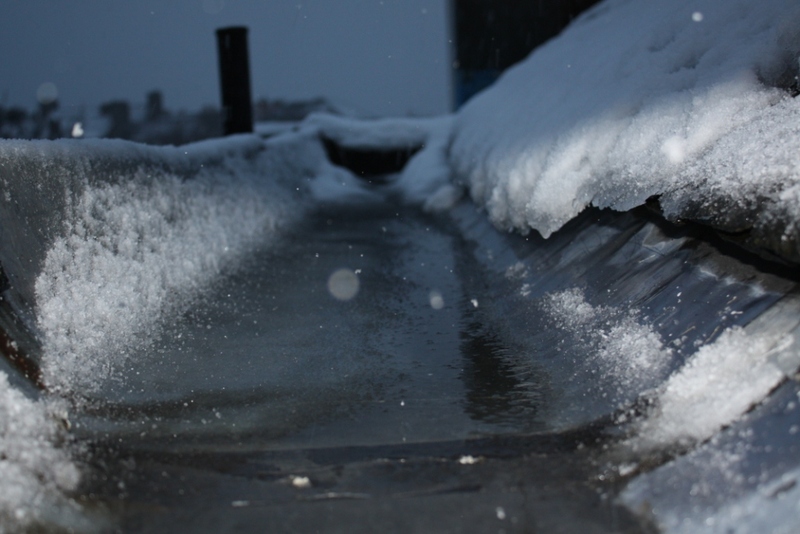 It turned out that snow and ice had accumulated in the roof gutter at the back of the house. This gutter is actually part of the roof, so with more snow falling and the snow on the roof beginning to melt a little, water was draining into the gutter but was not able to get into the down pipe which was blocked with ice, and so was finding it’s way into the eves and then down into Shaun’s room. So, for the entire night, every half hour, I had to lean out of the dormer window and scoop water and ice out of the gutter and throw it into the back garden. I tried the longest implement I could find to clear the ice from the gutter, but couldn’t reach the down pipe. I tried some kettles of water, which didn’t work either. It was only at first light that I could really see the entire problem, and then got four buckets of hot water and a floor mop and poured the water whilst encouraging a wave with the mop to wash down the gutter and eventually clear the two inches of hard ice from the six feet of gutter closest to the down pipe. All the time throughout the night, more snow was landing on me as I hung out the window 50ft up. I didn’t realise that some of the snow and ice I was throwing into the back garden was landing on the roof of my study which projects a little out the back, and this eventually help to cause a similar problem in the ceiling of the study, which I didn’t discover until later. Then, I had to get a ladder and clean out the gutter above the study. So, we’ll need some gutter repairs once the snow clears. 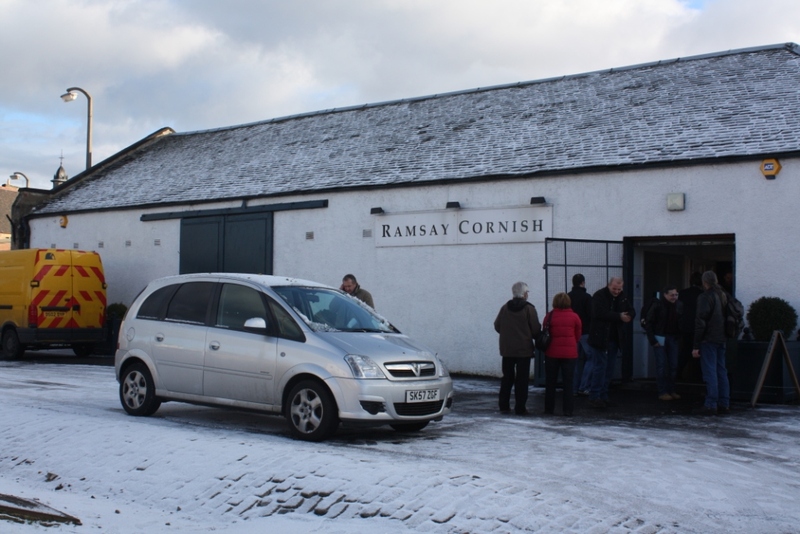 Yesterday morning we went to the Ramsay Cornish silver & jewelry auction, to watch the sale of some heirlooms. Very sad to see these items being sold, but we’ve no space to store them, so it’s best that someone else can use them. The auction was busy, and we had to sit on an old polar bear skin at the back of the room. The auction went very fast, but most of the prices seemed to be at the upper end of the estimates. Some silver spoons (not ours) went for a very high price. Towards the end of the sale there was a power failure, which they couldn’t seem to fix, so the last items were sold outside in the cold. Jamie was back home for a gig, and by coincidence he’d recently had an economics lecture on auctions. He told us about Dutch auctions. 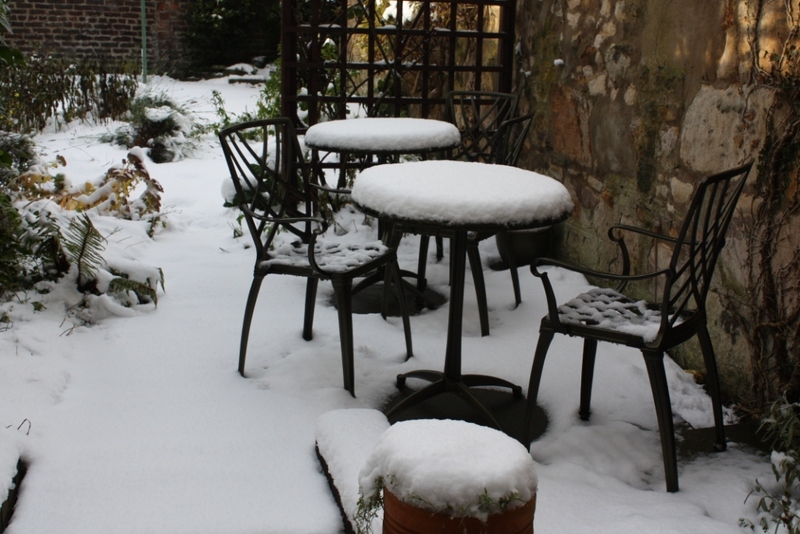 There was more snow last night. 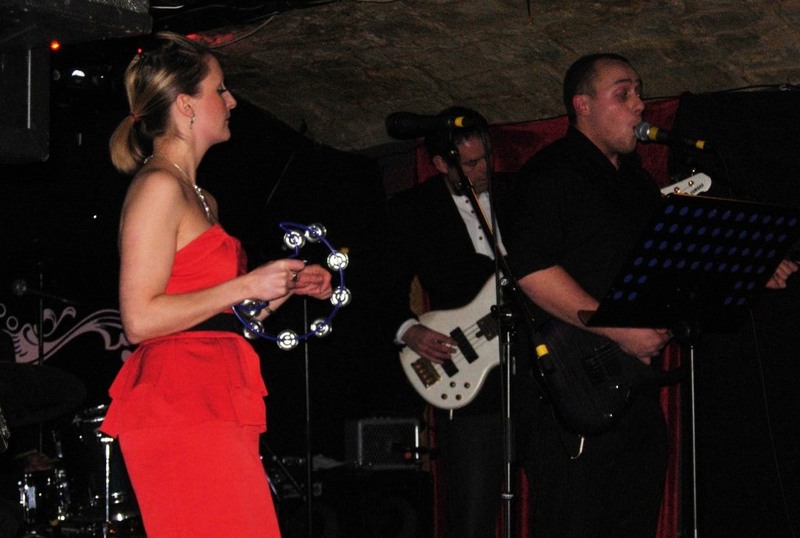 We went to the launch of a new Edinburgh band last night called The Wee Small Hours. This is a super band – very tight and versatile, good female and male vocals, and they play all kinds of music, including rock and cèilidh. 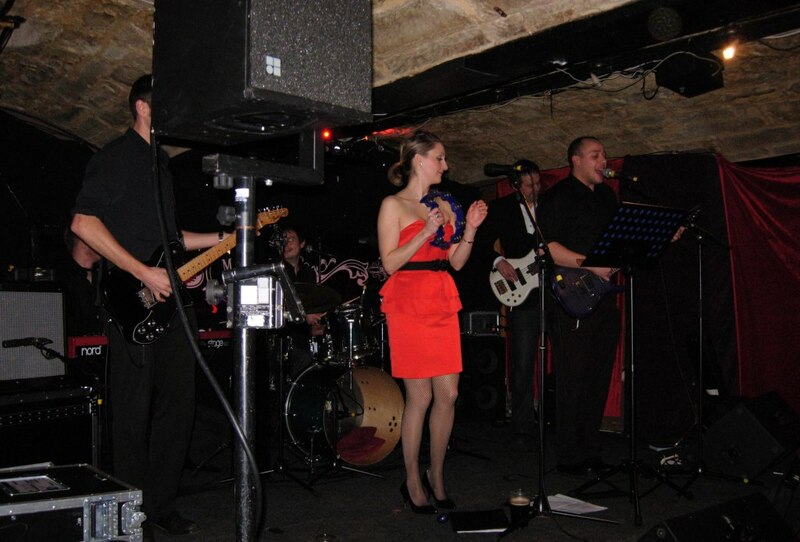 They’re a party band – you can contact them for bookings for parties, weddings or other events from their website. They were playing at The Three Sisters in the Cowgate, a massive place that’s very popular at the weekends for stag and hen parties. Here’s the entry in the Edinburgh Pub Guide. At the Three Sisters, you can buy strange drinks. 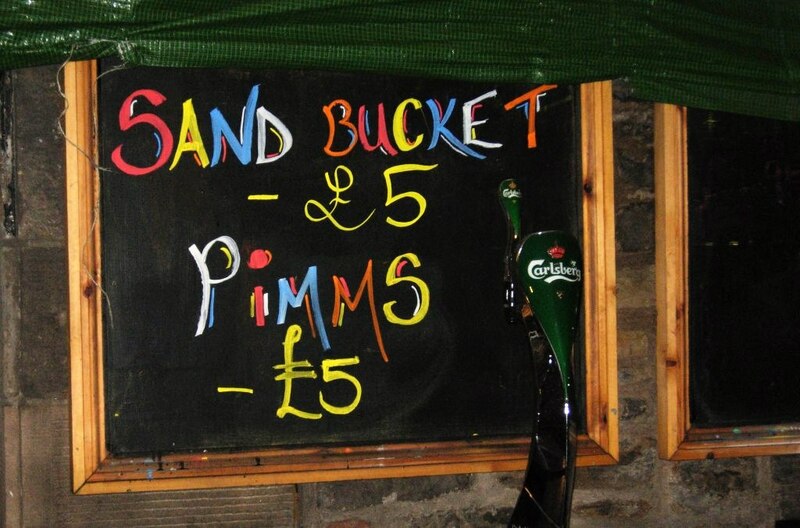 I’ll have to ask Fat Mac what a sand bucket is – he’s sure to have tried them. He’s probably a secret Pimms drinker as well. The Three Sisters has various vaulted rooms, like many old buildings in that area of Edinburgh. Ran round the New Town with Fat Mac this afternoon. It was slow going. He’s looking increasingly like a potato on sticks, what with the weight gain and the shaved head. Now that another one of his teeth has fallen out it’s impossible to tell what he’s talking about. To cheer him up, I told him that I’d buy him a pint for each Test that England wins in The Ashes. I need to switch to the night shift from today, so that I can watch it on TV. I have it on good authority that, due to the fact that she’s in Australia, Gillian McKeith is under consideration for taking Ricky Ponting’s place as captain of the Aussie team for the Second Test when they lose the first one. It will either be her, or Skippy the Bush Kangaroo. I’ve added the following Open Access journals to JournalTOCs, where you can find the latest Tables of Contents from over 14,700 scholarly journals. Previous journals added are listed here. Unfortunately, many other OA journals do not produce TOC RSS feeds – see my post: Many Open Access (OA) journals don’t have Table of Contents RSS feeds, and they are therefore missing out a great deal. I’ve also listed below some OA journals for which I could not locate TOC RSS feeds. The following are OA journals for which I could not find TOC RSS feeds. These journals are missing out a lot! See: The benefits of RSS Tables of Contents (TOC) feeds for scholarly journals. Latest news: OJS now have their RSS feeds enabled by default. 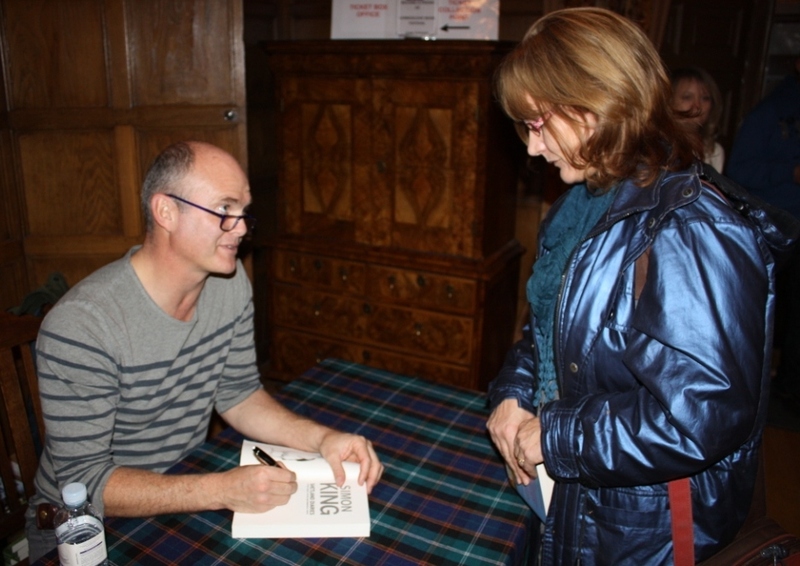 Yesterday afternoon, we went to see Simon King at the Lennoxlove Book Festival. 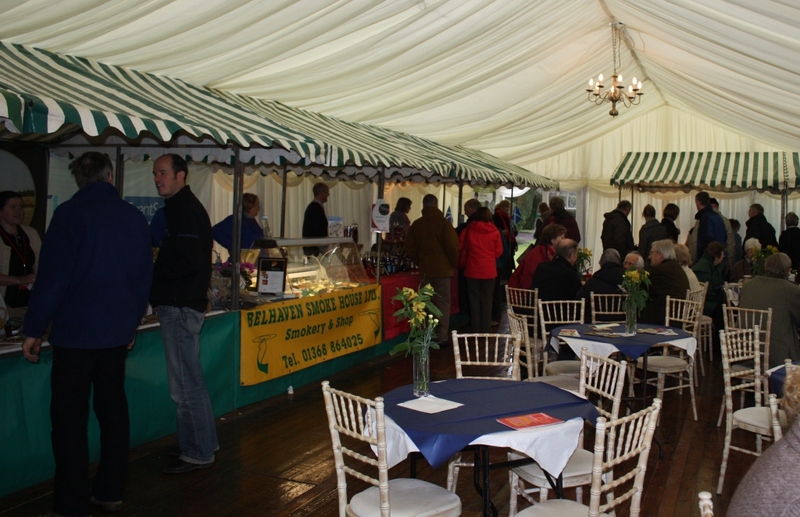 The place was packed, with several hundred people in the Festival Marquee, and everyone enjoyed the talk and slideshow, which was mainly about Simon’s time in Shetland but also included some reminiscences from Kenya. After the show, Lindsey bought a couple of signed copies, for Christmas presents. Fat Mac was supposed to have attended, but he was too busy drinking beer. Much of the Edinburgh literati seemed to be there. 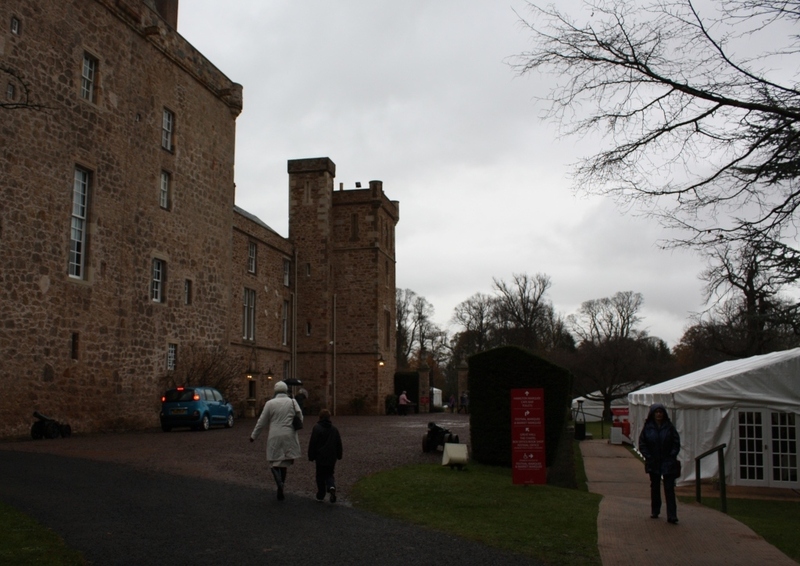 Lennoxlove is an impressive castle near Haddington. The Book Festival features many well-known authors. 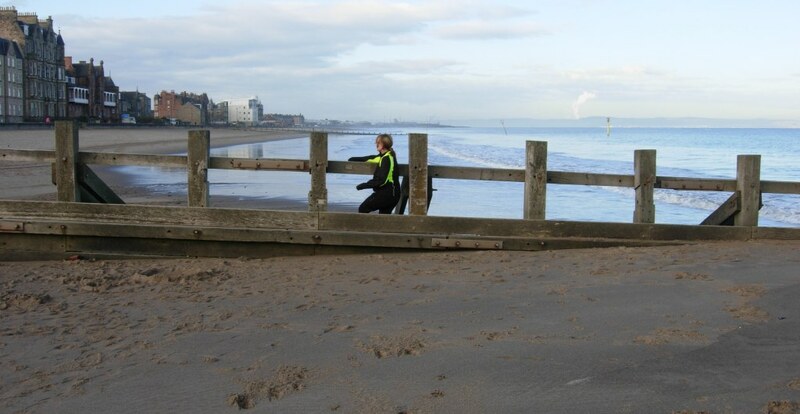 Yesterday, the weather was really nice and Lindsey and I ran along Porty beach for our morning exercise. 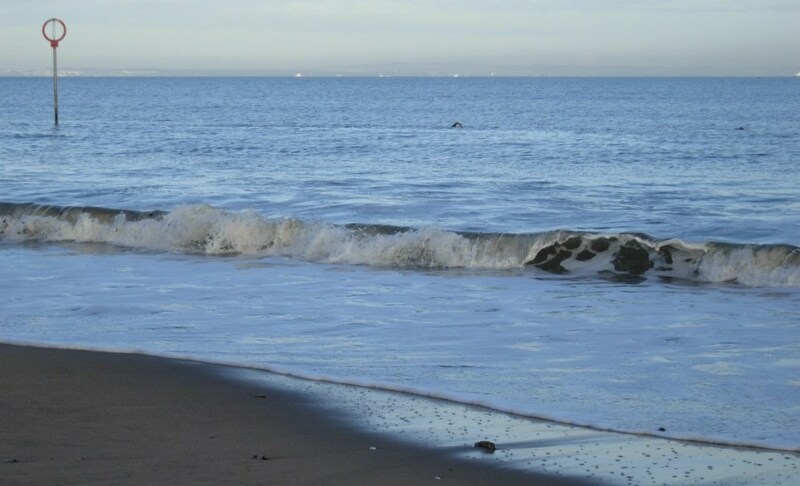 There was some surf, and there were actually two people swimming in the Forth. You can just about make them out in the photo below.